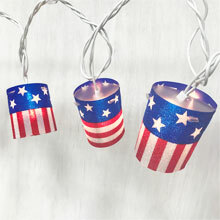 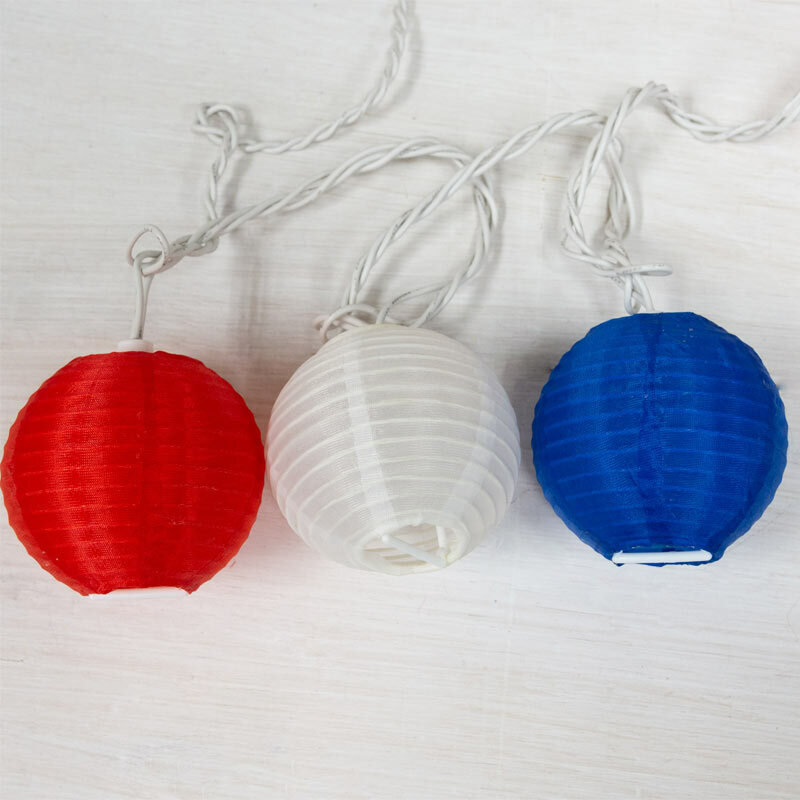 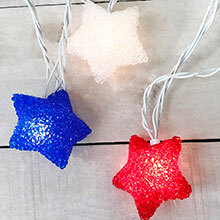 Decorate for the 4th of July holiday with these red, white & blue nylon lantern string lights. 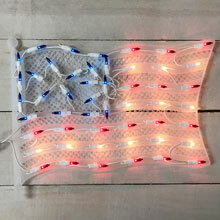 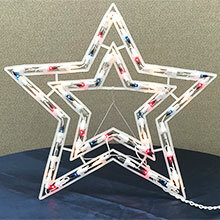 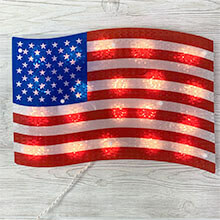 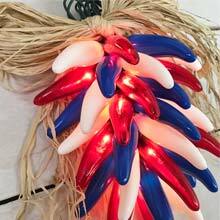 This patriotic light strand features 10 mini clear bulbs with 10 alternating red, white and blue nylon lanterns. 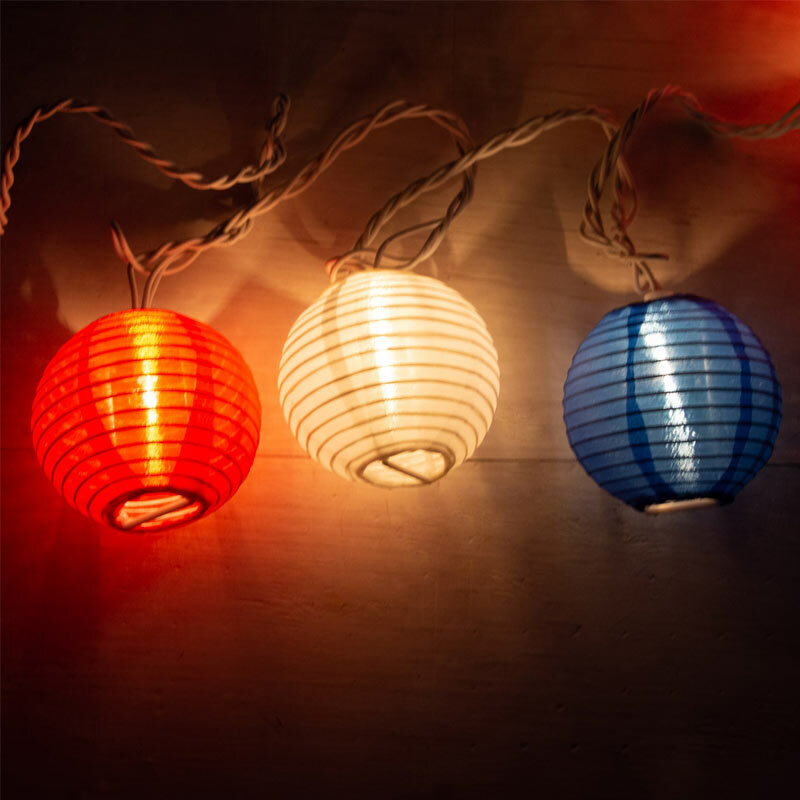 The nylon lantern string lights can be hung indoors or outdoors and are the perfect patriotic strand of lights for Fourth of July, Memorial Day, and Labor Day.